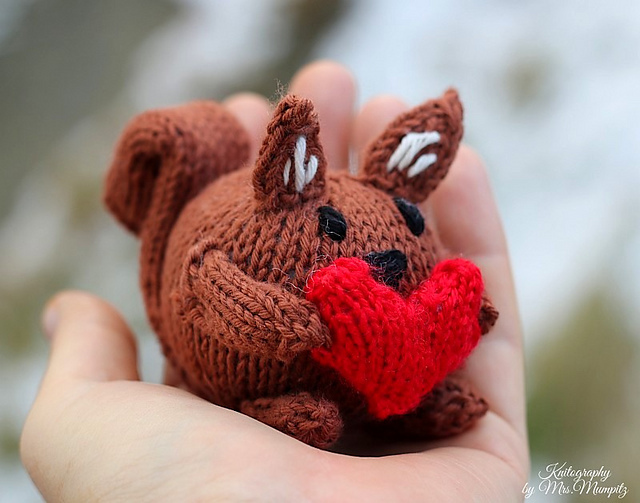 The Indie Design GAL is ongoing on Ravelry, with the knit and crochet along portion already boasting over 600 finshed objects. If you'd like to join in, head over to the Ravelry group. * Today I'm bringing you an interview with Doreen Blask, a fellow GAL designer. 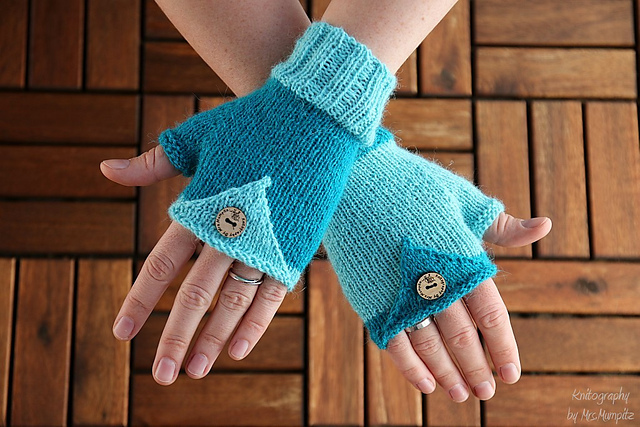 Doreen Blask is a knitwear designer who specialises in quirky accessories and toy designs. Her designs are bright and bold, with a bit of a sense of humour. I love her Hot Air Balloons Mobile, and Sally the Squirrel is really cute! 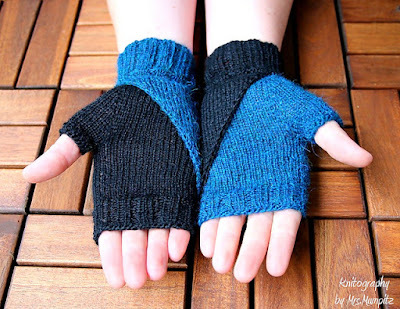 She also has designs for several uniquely styled pairs of mitts; her Pointy Mitts and Black and White Mitts look really unusual and striking. Top to bottom: Hot Air Balloons Mobile, Sally the Squirrel, Pointy Mitts, Black and White Mitts. All images copyright Doreen Blask. My mom taught me the basics when I was 5 or 6 years old. I haven’t stopped since. 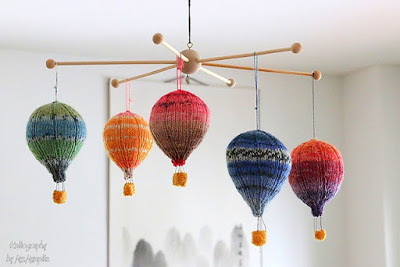 I’m working on a new baby mobile design for a yarnie-designer-cooperation with a dyer from Australia and I also have two new shawl ideas. I always wanted to try double knitting and hope I can bring myself to do it next year! Loli Fox Design with her quirky mini knits and Slate Falls Press with the cutest kids patterns ever! Doreen can be found on Ravelry as Mrsmumpitz, blogging at www.mumpitz.design, on Facebook, and on Pinterest.